Order Coca cola checks. 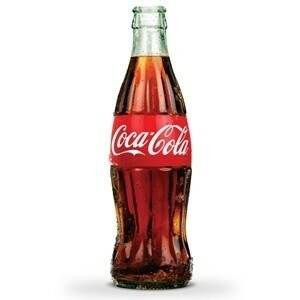 Coca Cola or simply just coke is probably the most popular soda drink in the world. Today, Coke is sold almost everywhere except in Cuba and North Korea. Originally, coke was sold as a medicine for several ailments, however because of its lack of proof, the soda was then sold as a cold drink instead. If you prefer coke versus other soda drinks, this is your chance to show your support to an internationally recognized brand. Order your coca cola checks today and be amazed with the unique check designs that you can order from us. These bank checks are compatible with safety features that will protect your account from fraudulent transactions and activities. Included with the Coca Cola Checks order: 24 Deposit Tickets and 1 Transaction Register. Optional – Coca Cola Personal Checks address labels.